He had a tutor at the Château de La Brède and then, at the age of 11, he was sent to the Juilly Oratorian College near Meaux, close to Paris. Five years later, he returned to Bordeaux to study law, as he was to inherit the office of président à mortier at the Bordeaux parlement (principal magistrate of the highest juridical institution, the “parlement”, i.e. the appeal court) from his uncle, the Baron of Montesquieu. He then completed his training in Paris, where he moved in scholarly and literary circles. Baron of La Brède and Montesquieu, president of the Parliament of Bordeaux. Charles-Louis became the Baron of La Brède on the death of his father in 1713 and inherited a large property fortune. His brother and sisters were placed in holy orders to ensure that the wealth remained in the hands of the eldest son. In 1715, against the advice of his uncles, he married Jeanne de Lartigue, a Protestant who was to remain faithful to her religion despite the revocation of the Edict of Nantes which forbade it ; she was sole heiress to a wealthy family. They had three children: Jean-Baptiste in 1716, Marie Catherine in 1717 and Denise in 1727. When his uncle died in 1716, Montesquieu inherited his entire fortune, the barony of Montesquieu and the responsibility of principal magistrate (président) in the appeal court (the parlement). The day-to-day practice of the law weighed heavy on him, however, and he abandoned the profession in 1726, devoting himself instead to the humanities and sciences at the royal academy in Bordeaux. Here, anatomy, the natural sciences, and major political and ethical questions were his main areas of interest, and the subjects of his first essays. In 1716, at the death of his uncle, Montesquieu inherits his entire fortune, of the barony of Montesquieu and the office of speaker in Parliament. But the daily practice of law weighs him: he abandon in 1726. He devoted himself more readily to letters and sciences, including at the Royal Academy of Bordeaux: Anatomy, natural sciences, major issues political and ethical, as are his centers of interest preferred for which he wrote his first memoirs. Montesquieu the writer and traveller. In the Lettres persanes, which he published anonymously in Amsterdam in 1721, he painted a satirical picture of France at the end of the reign of Louis XIV and during the Regency as seen through the eyes of Persians discovering Paris, reserving the boldest blows for religion. The tremendous success of this novel, which married the charms of oriental fiction with humour and profound intellectual freedom, opened the doors of the Parisian salons to him, including that of the influential Marquise de Lambert. He may also have been a member of the Club Entresol, a private academy. These salons and the libertine society that he frequented at that time were the inspiration for Le Temple de Gnide, a novel (or prose poem) that was considered to be licentious. Released from his obligations as principal magistrate (président) in 1726, Montesquieu was able to apply to join the Académie française, the French council for matters relating to the French language. However, it held strong objections to the Lettres persanes, his greatest achievement, particularly as it made fun of the Académie. He overcame all resistance, though, and shortly after being accepted in 1728, he set off on a three-year tour of Europe, with the aim not only of discovering the political and economic systems, moral codes, religion, culture and geography of the countries that he travelled through, but also, and possibly first and foremost, of becoming a diplomat. 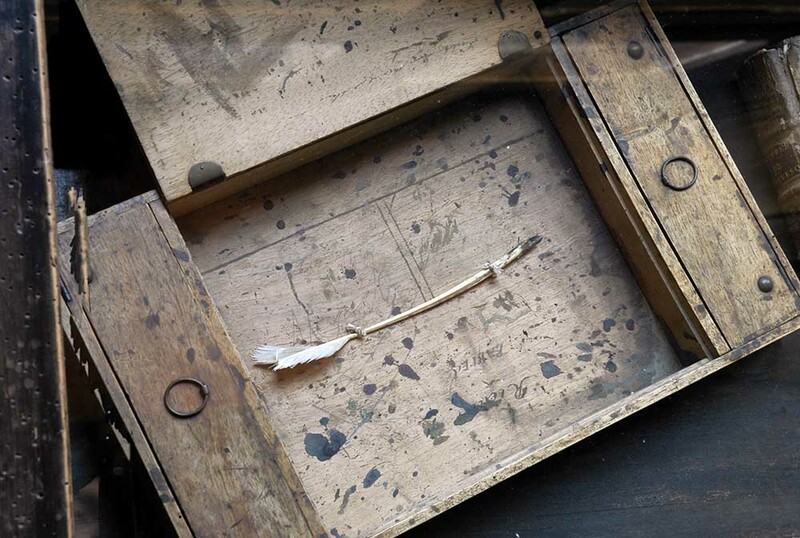 This ambition remained unfulfilled, but he returned to the Bordeaux region in 1731 with a wealth of observations, particularly after an 18-month sojourn in England. 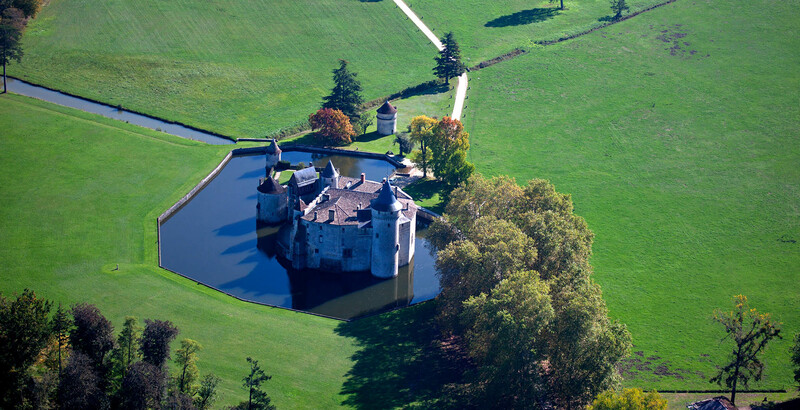 He stayed at the Chateau de La Brède and at the home of his brother, the Dean of Saint-Seurin Basilica in Bordeaux, making regular trips to Paris. In 1734, Montesquieu published Considérations sur les causes de la grandeur des Romains et de leur décadence (Reflections on the Causes of the Grandeur and the Decline of the Romans). He had all but one copy of the Réflexions sur la monarchie universelle (Reflections on the Universal Monarchy) destroyed, as it was overly critical of the authorities. It was to be first and foremost L’Esprit des lois (Spirit of the Laws) which would establish the author’s reputation throughout the world. Published in Geneva in 1748, this work saw Montesquieu lay down the basic principles and the logic for different political institutions. It met with huge acclaim but was also criticised, particularly by the religious authorities, leading Montesquieu to publish his ‘Defence of the Spirit of the Laws’ in 1750. There was praise throughout Europe for this innovative work, which provides an understanding of how societies operate, based on political analysis. On 10 February 1755, at the age of 66, after a life spent actively tending his properties and more specifically, the Château de la Brède and its estate, Montesquieu died in Paris and was buried in the city’s Saint-Sulpice church. 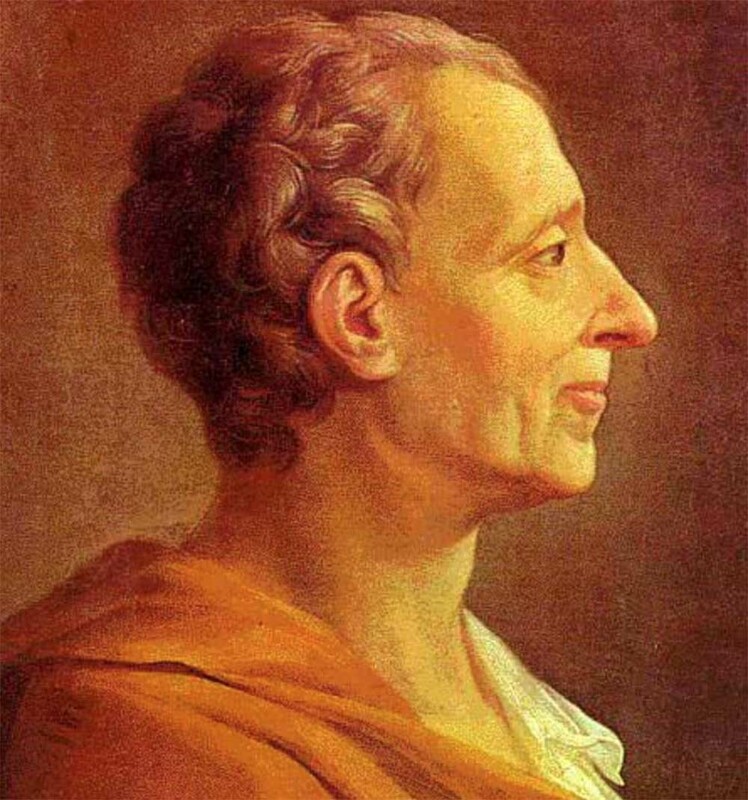 The founding father of sociology and a French philosopher and writer, Montesquieu is one of the great political thinkers of the Age of Enlightenment.